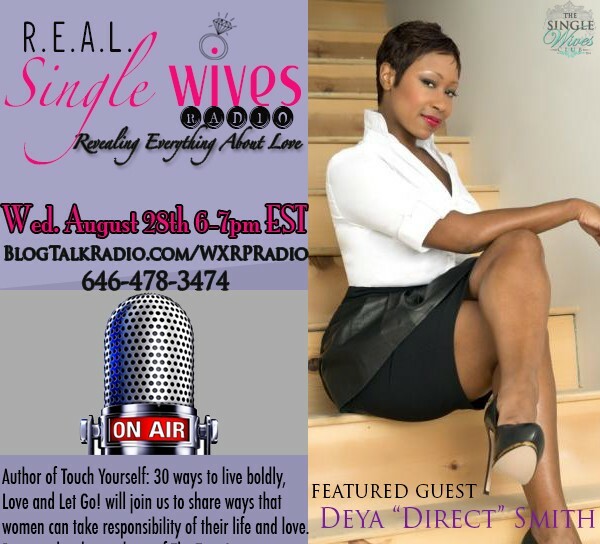 Guest Deya “Direct” Smith, Author of Touch Yourself: 30 ways to live boldly, Love and Let Go! will join us to share ways that women can take responsibility of their life and love. 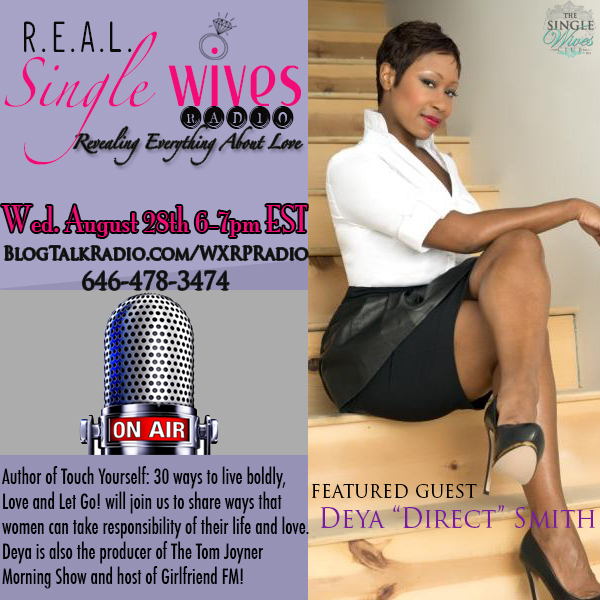 Deya is also the producer of The Tom Joyner Morning Show and host of Girlfriend FM!